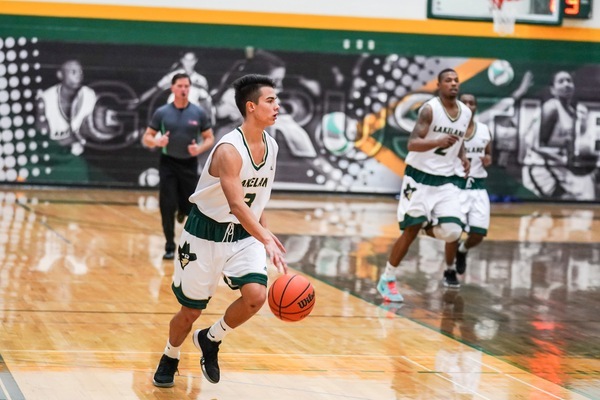 After a season plagued with challenges, the Lakeland Rustlers Men’s Basketball team finished the year as Alberta Colleges Athletic Conference Consolation champions. This past weekend, the Rustlers hosted the ACAC championships coming away with 5th place. Teams around Alberta flocked to the Lloydminster campus with the hopes of winning gold and heading to nationals. Although it was a rough start for the Rustlers, Head Coach Sheray Thomas says Lakeland Athletics was able to showcase why they have been so successful over the past couple years. Thomas adds there was great fan support as well as the amount of support from the school such as professors and students. The team came into the weekend placed fourth in the North Division and were immediately matched up with the first place south division SAIT Trojans. Despite foul troubles slowing them down, the Rustlers kept the game close until halftime. The Trojans ended up pulling away in the second half winning 98-77. The team finished strong in the next two games of provincials beating the Keyano Huskies and the Red Deer Kings for the Consolation Championship. The SAIT Trojans ended up winning the ACAC championship for the third year in a row. They beat the Concordia Thunder Saturday night in the gold medal game. Last year was the second time in school history that the Rustlers earned a berth at the CCAA Men’s Basketball Championships. The last CCAA berth was in 2008. The Rustlers finished second in the ACAC last year and looked to build off that success this season. Thomas says he believes the team wasn’t at full strength for 70 per cent of the season due to many factors. He says the game plan for next season stays the same as he looks to bring his core group of players back on the court. Thomas admits that In college athletics it’s tough to say if your team will look the same the next season. He says he expects 80 per cent of the players to commit next season.